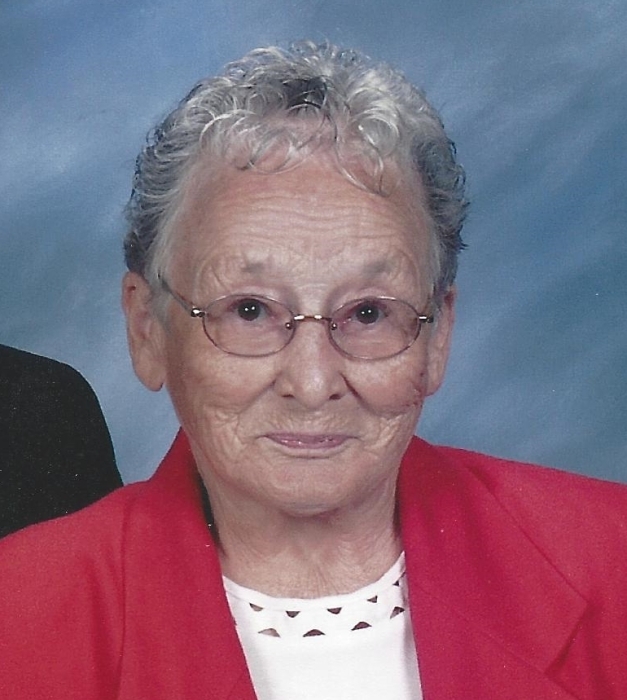 Doris Beatrice Rappuhn, age 91, passed away on Thursday, March 21, 2019 in Cookeville Hospital, Tennessee. Doris was born on July 11, 1927 and was the daughter of Leland and Mabelle (Jenkinson) Miller. For the last two years Doris was living in Tennessee with her son Donald and daughter-in-law, Janet. She graduated from North Branch High School in 1944. Doris married the love of her life, Irwin Rappuhn on February 3, 1944 in Lapeer. For many years Doris was a member of the North Branch Wesleyan Church. Doris enjoyed baking, sewing, quilting, making lap quilts, but she especially loved spending time with her family and grandchildren. Doris is survived by her daughters, Joyce (Bob) Klauka of North Branch, Jo Ann (Gary) Schank of Bad Axe; sons, Daniel (Joyce) Rappuhn of Fostoria and Donald (Janet) Rappuhn of Tennessee; 9 grandchildren; 17 great-grandchildren and 1 great-great-grandchild; many nieces, nephews, cousins and friends. Doris was preceded in death by her parents, husband Irwin, grandson Danny, 2 brothers and 3 sisters. Visitation for Doris will be Thursday, March 28, 2019 at 4 to 8 PM at Blackburn Chapel-Martin Funeral Home and Friday, March 29, 2019 from 10 to 11 Am at the North Branch Wesleyan Church. Pastor Peter Damaska will be officiating. The Funeral Service will follow at 11:00 AM at the church. Doris will be laid to rest next to her husband, Irwin in Rich Cemetery, Mayville.